Joe’s Bakery opened a second shop in June, taking on the site of The Breadstore, at 45 Gloucester Road, which closed unexpectedly after 25 years of business. Owner of Joe’s Bakery, Jane Hunt, said: “We didn’t want the lower end of Gloucester Road to be without a baker. When the opportunity arose to keep a breadshop in the area we jumped in to make sure the shop wasn’t closed for too long. “We’re carrying on a few of Dom’s old traditions such as the City Loaf, a soft white round loaf, Linseed bread and the ever popular Pizza dough. 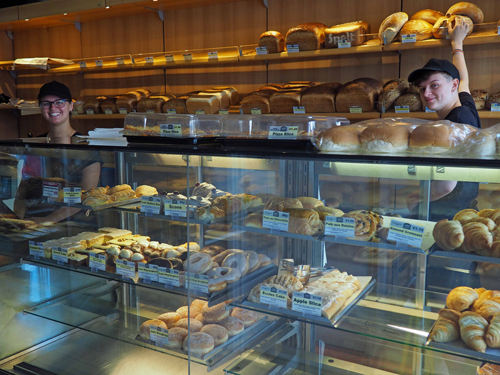 All other breads are baked each morning at Joe’s bakery up the road and transported down to the new shop. The Breadstore sign remains in place while new signage is being developed for Joe’s Bakery.